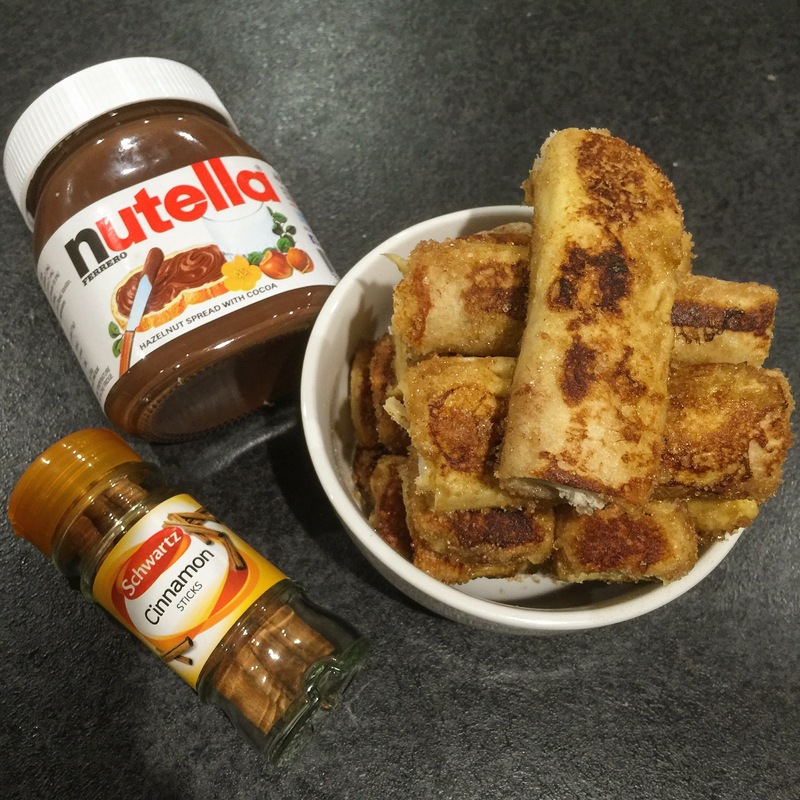 I finally made the Nutella French Toast Rolls! It’s pretty easy to make. You start of by removing the skin/crust of the bread and then make it flat by using a rolling pin. SMEAR Nutella (if you’re like me) on the bread and roll it up. Dunk it in beaten eggs mixed with milk and fry it up. After frying, coat the French toast roll in cinammon sugar (cinammon powder + sugar) and you’re done!